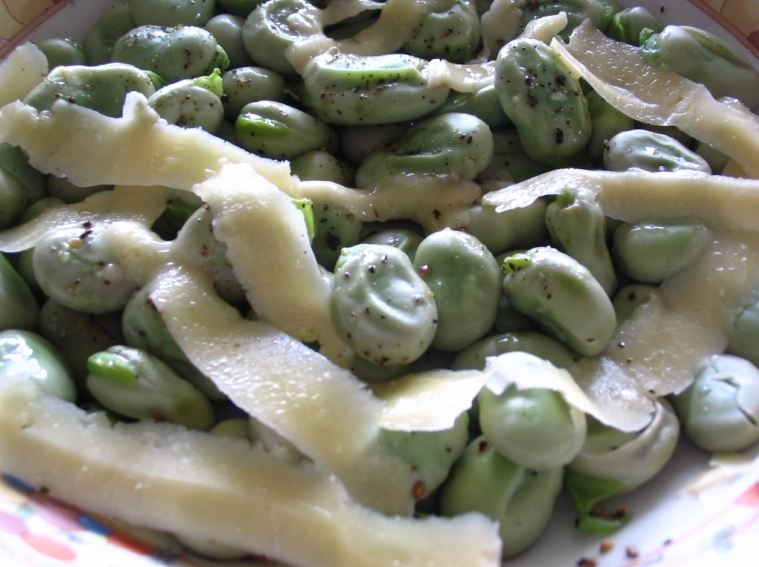 The Perfect Broad Beans Dish, Straight From Your Backyard Organic Garden! Here’s the Perfect Spring Dish – and Ferran Adria Agrees! Spring has arrived with a sproing. There’s a vibration of renewal, freshness, burgeoning life in the natural world. Buds are bloomin’, bees are buzzin’, birds are bonkin’. But it ain’t birds bees or buds that bang my spring drum. It ain’t the warming sun or the big blue skies. It’s a spring vegetable that, picked fresh out of your own organic backyard garden and given a simple treatment, is that rarity – a food experience that cannot be improved. The perfect dish. Big statement, yes. Stay with me. All will be revealed in a moment. First, a word from Spain’s Ferran Adria, owner of the fabled El Bulli restaurant, who has been voted the world’s greatest chef for the 4th year in succession. Actually, the very notion of a “world’s best chef” is nonsensical to me – on what basis is that assessment made, and by whom? I don’t know and don’t care. Let’s leave that conversation aside for another day. Let’s just assume the bloke knows his way around food. Adria is in Melbourne for a public presentation, and in a news.com interview was asked to define the perfect meal. “The perfect meal is the one you enjoy in its entirety. And the more you enjoy it, the more perfect it becomes,” he replied. That’s a pretty good definition, I think, and one I relate to (except that I don’t like applying absolutes like ‘perfect’ to food, but that sort of quibble’s a trap I choose to avoid here – obviously). I’d add to Adria’s definition that a ‘perfect’ dish is one that you can’t imagine improving. And in these definitive terms, I propose that the centrepiece for the perfect dish of spring is…wait for it…broad beans. Feel cheated? DON’T! If your only experience of broad beans is the frozen variety, I understand. Leathery, boring, one of those veges your mother served up that you tolerated grimly because of the adult insistences that they were “good for you”. Repress those memories and consider the possibility that you have had only a poor facsimilie of a real broad bean experience! By “real”, I mean young broad beans in prime condition picked straight off the bush and done simply. Italians and Greeks steeped in Mediterranean culinary tradition understand the delights of the freshly picked broad bean. So do the Japanese. 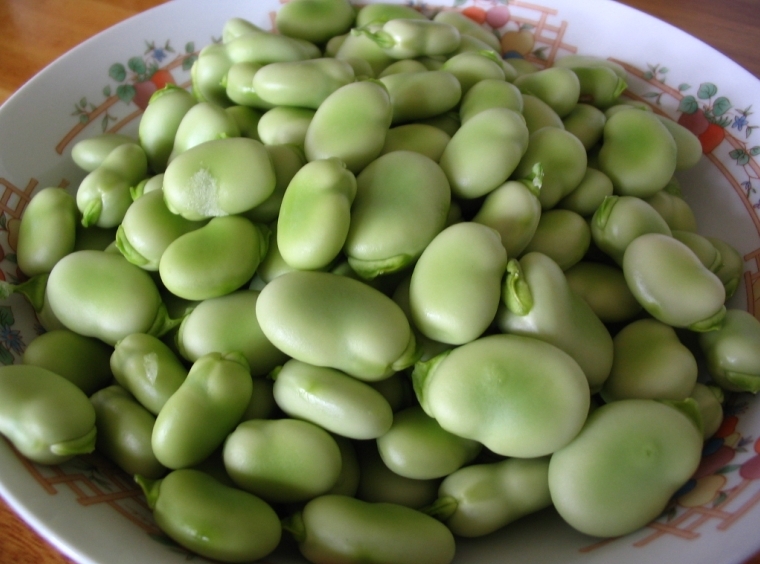 A Japanese friend told me recently that new season broad beans are a celebrated event in Japan. Boiled tender and salted, they’re customarily accompanied with beer! Cheers to that! Well, here’s what I do with them. I can’t imagine a better way to serve up these spring delights, but if you reckon you have one, by all means post a comment. Pick and pod the beans. Don’t bother skinning them, as high-end chefs are wont to do – the skins are tender and flavoursome until the beans get to full size (pick them earlier than that). Even with fully matured broad beans, I prefer the skins left on. Allow 150 – 200gm per serve. Add podded beans to an inch of boiling water in a saucepan, bring back to the boil, then cover and cook for 5 – 7 minutes, depending on the maturity of the beans (larger beans take a bit longer). Serve cooked beans immediately on small plates (I use shallow, flat-bottomed soup bowls). Add extra virgin olive oil, a dash of top quality balsamic vinegar (Italian, 3 star plus), and salt and freshly ground black pepper to taste. Top with shavings of parmesan cheese, or preferably pecorino or romano. That’s it! I am not in the photographic league of the food bloggers who serve up moist and tantalising pics that have you dripping saliva all over the keyboard (eg: Lyrical Lemongrass, and The Food Pornographer). With that disclaimer, here’s a pic – but it doesn’t do justice to this beautiful dish. The humble broad bean, nurtured using organic growing principles, picked fresh and done right, is a gastronomic delicacy that will hold its own in any company. And that includes the high-priced haughty cuisine that upmarket-focused food blogs like abstractgourmet.com dutifully trot out as supposedly superior fare. I’m not necessarily anti haute cuisine, but I do believe it takes a master chef to upstage nature at its finest, and that lesser chefs (and “foodies”) often miss a vital point – that is, that the key to an unsurpassable food experience is finest quality ingredients blended in simple harmony. And it’s smugly gratifying to fetch your delicacy for free from your own backyard organic garden, rather than shelling out a week’s income at some high-end restaurant for a fancy presentation that too often fails to live up to expectation. When you use the freshest and simplest ingredients, it’s not surprising that you’ve come up with an utterly delectable looking dish. Thanks, LL. Compliments from you, being an esteemed food blogger and a photographer of food who really knows how to get the juices flowing, mean a lot. And yes, needless to say, I share your view on what makes “an utterly delectable looking dish”. I’ve been meaning for some time to do a post on my basic philosophy of food and cooking – you’ve summed it up in your opening sentence.